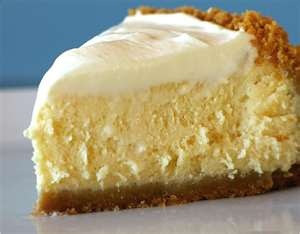 I love to make the creamiest, fabulous easy cheesecakes and enjoy them. So if you want this easy recipe to be your "specialty" here you go. On the low speed of you hand mixer, blend well. Around 2 minutes of so is plenty, just make sure all ingredients are incorporated. Immediately pour mixture into a waiting graham crust or for those of us that can't have the gluten, I opt for muffin cups. Refrigerate for an hour to and hour and a half and viola. Oreo cookie crust. Incorporate a few of the cookies in to the batter, crushed of course. Top with a few whole or halved cookies as well.